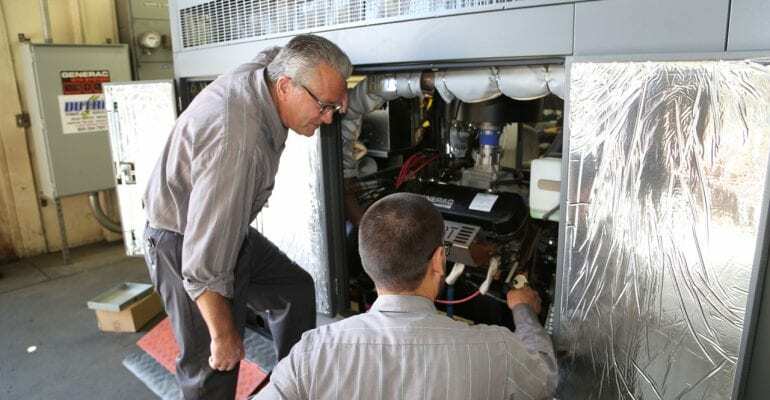 Most servicing of a generator would include the inspection of your diesel fuel. One other suggestion would be to have a sample of the fuel drawn and run through the lab to make sure and tell just what levels of water may be in the tank (just what the level of quality of that fuel is). We suggest to our customers that this is done once a year.